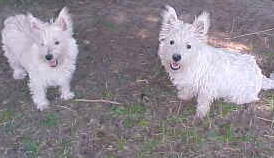 Westies are such a happy, joyful breed. What's for dinner Mom? 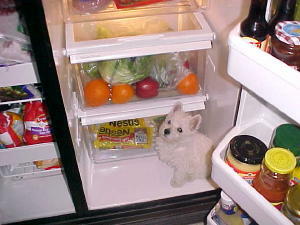 You can imagine how startled I was when I turned back to close the refridgerator, and saw Hailey looking up at me! Enjoying a Spring day out in the yard. 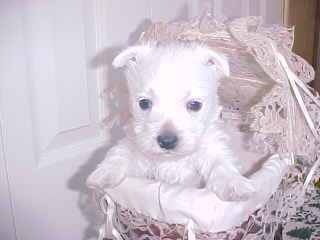 Westies love to dig. They keep us very busy filling holes! 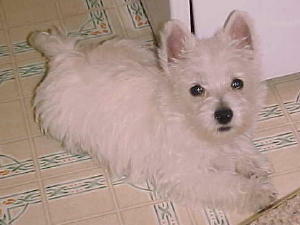 Westies are bright, funny and very entertaining. Wonderful family pets! 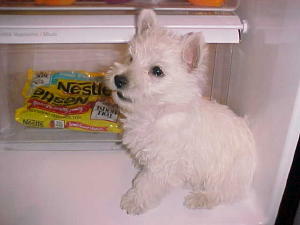 Westies are very comical. 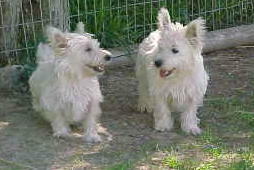 Their ears play a key role in expressing themselves!